Summary and Definition: The Pendleton Civil Service Reform Act was passed to regulate and improve the civil service of the United States. The purpose of the Pendleton Act was to break the Spoils System which had become the 'custom and practice' of presidential administrations. The law was sponsored by reformer Senator George Hunt Pendleton of Ohio and was signed into law by President Chester Arthur on January 16, 1883. 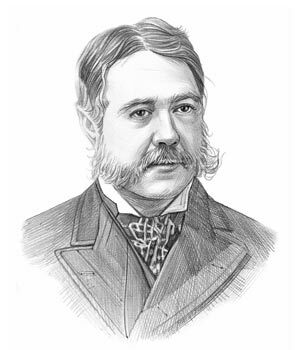 Chester Arthur was the 21st American President who served in office from September 19, 1881 to March 4, 1885. One of the important events during his presidency was the Pendleton Civil Service Reform Act. The info about the Pendleton Civil Service Reform Act provides interesting facts and important information about this important event that occured during the presidency of the 21st President of the United States of America. The article on the 1833 Pendleton Act provides detailed facts and a summary of one of the important events during his presidential term in office. The following Chester Arthur video will give you additional important facts and dates about the political events experienced by the 21st American President whose presidency spanned from September 19, 1881 to March 4, 1885.